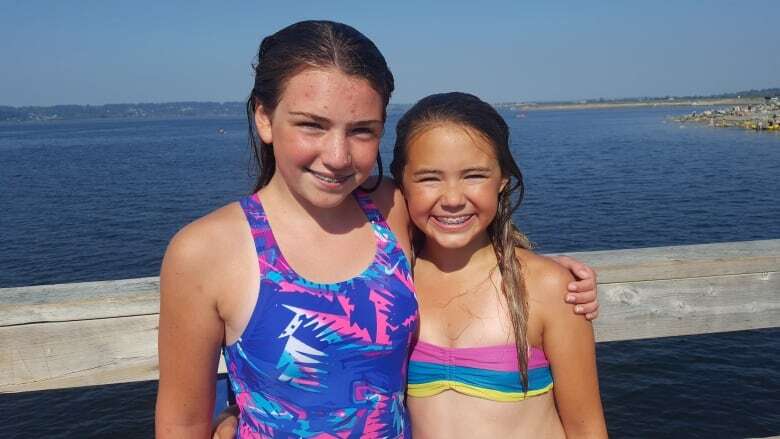 Three 11-year-old friends who had just finished taking a summer lifesaving course are praised for their quick thinking after saving two swimmers at a Surrey, B.C., beach. The three friends had taken a junior lifesaving class at Crescent Beach Swim Club this summer, and Georgia said they were confident in their skills. Springate said she is proud of the girls but concerned that a rescue was needed at all. "I was somewhat upset that here were girls who apparently were not being clearly watched by their parents," she said. "One girl was fully clothed in the water. She was not even prepared for swimming at the time." 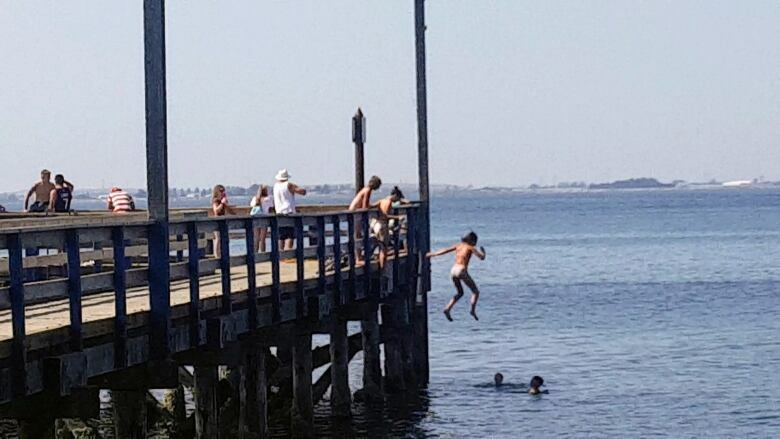 The City of Surrey said it is looking into posting warning signs over pier jumping. One way to reduce dangers is for people to swim in designated areas, the city added. To hear the interview with Georgia and Cynthia Springate, click on the audio link below. With files from Meera Bains and On The Coast.